Reassurance shield after the 40 split as we head out of Dunreith. 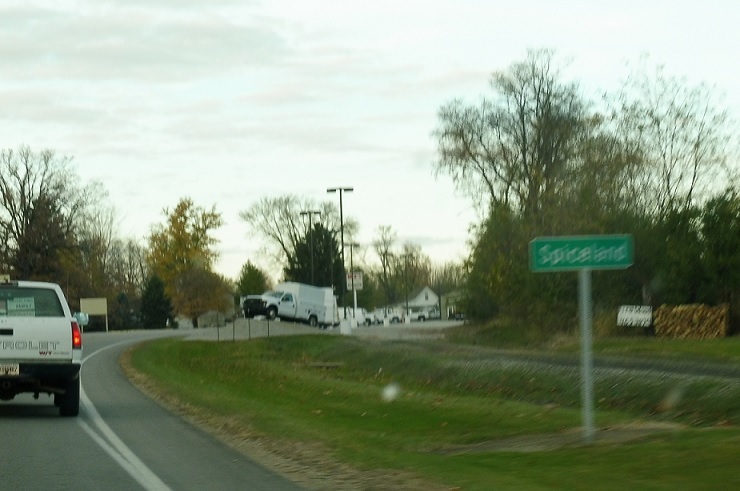 Before we get to I-70, we’ll pass through the small town of Spiceland. 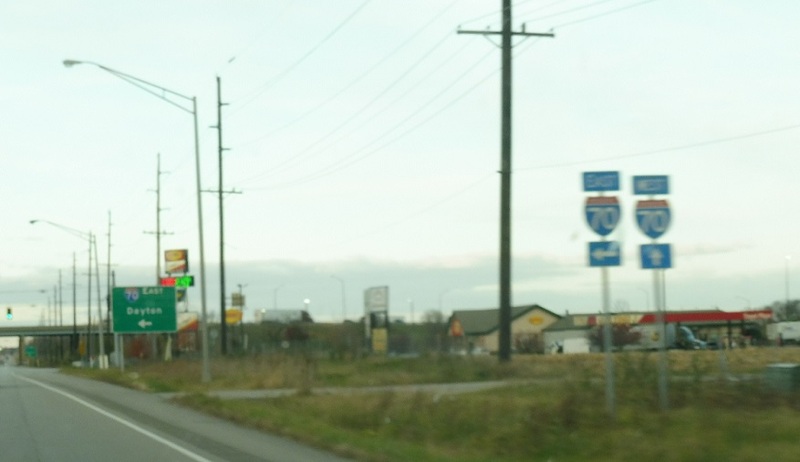 As we head out of Spiceland, we’ll approach Interstate 70. 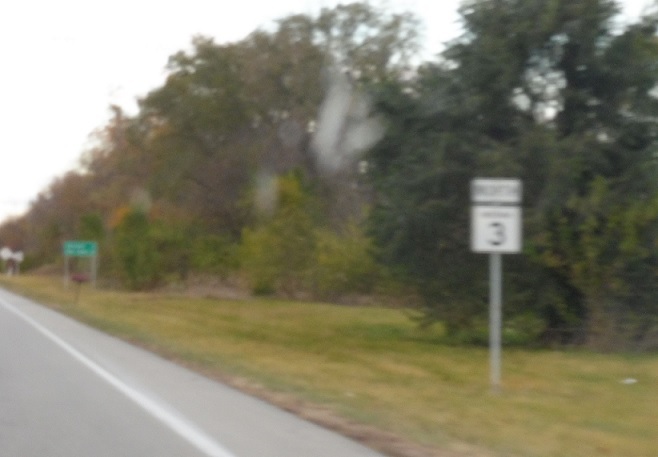 Turn left for I-70 east. 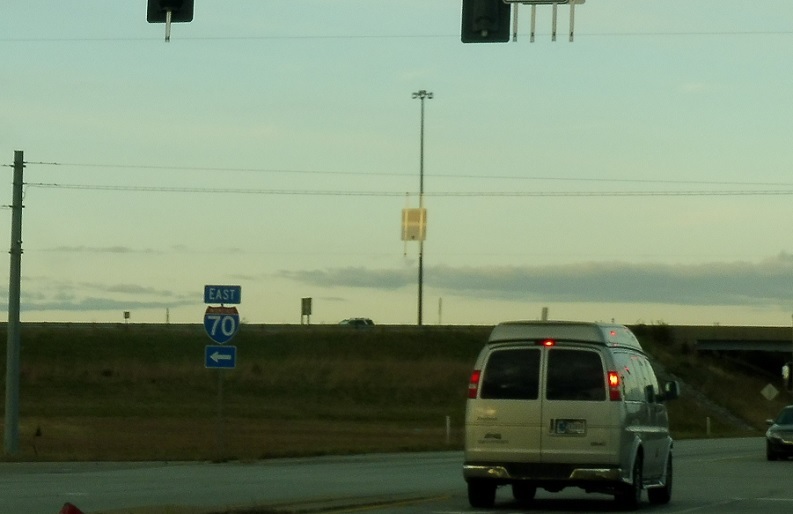 Stay straight for I-70 west. 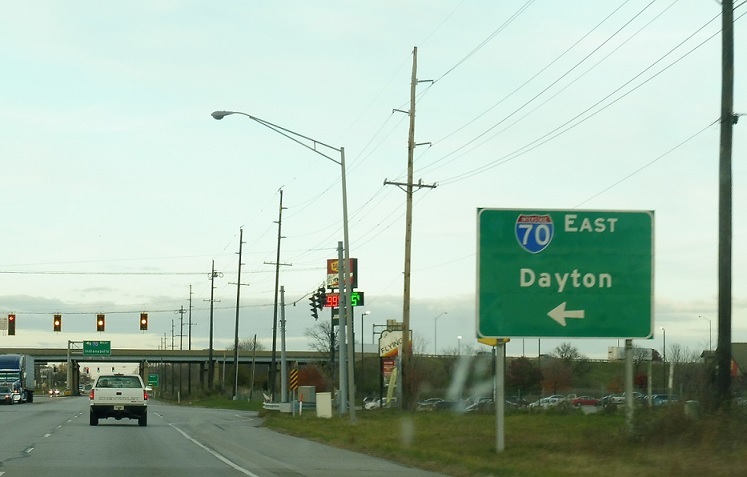 Follow I-70 east to Dayton, Ohio. 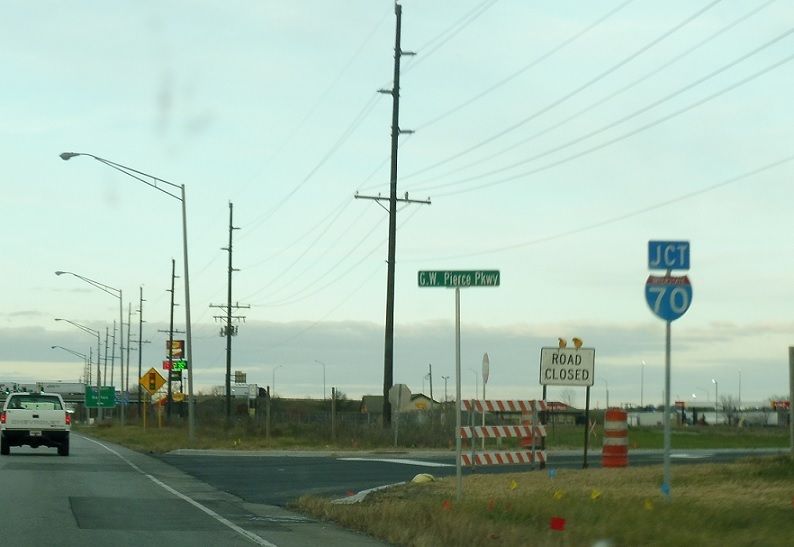 Turn left for I-70 east. 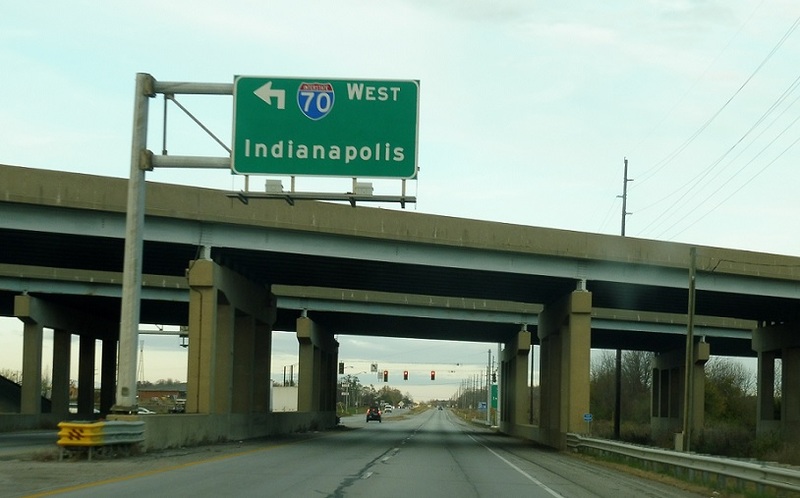 As we cross under the interstate, turn left for I-70 west to Indianapolis. 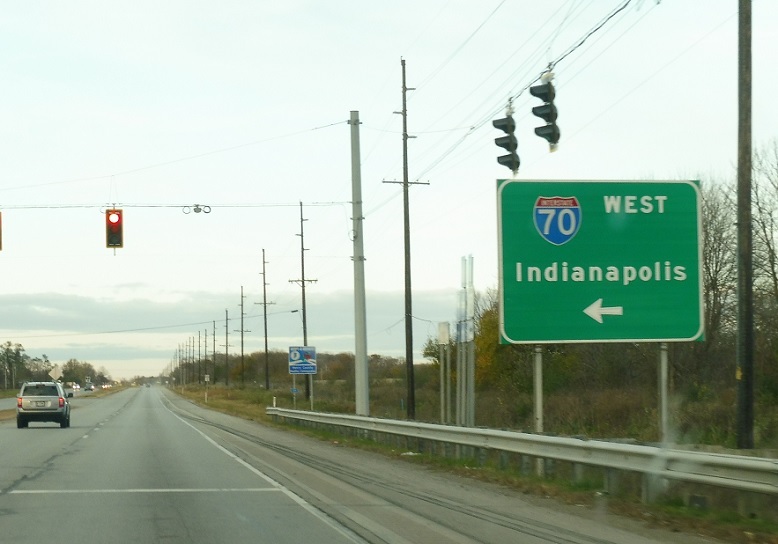 Turn left for I-70 west to Indy.